Over the past 25 years, Windrose surveying & platting has performed thousands of boundary surveys, topographical surveys, and mapping projects throughout the great state of Texas. 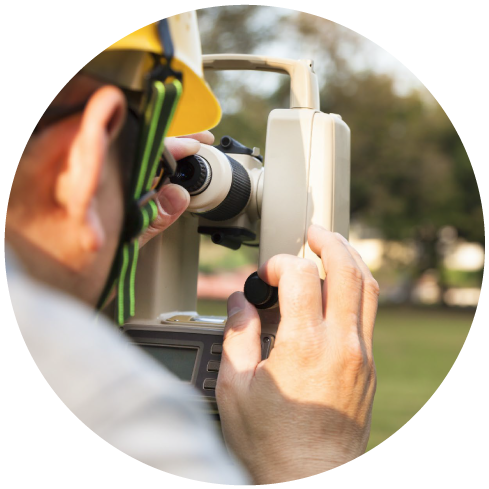 Our Registered Professional Land Surveyors and field crews have decades of experience in finding solutions to even the most challenging projects. We recognize that absolute accuracy of information, quality performance, and above average response time differentiate our company in the marketplace. Our clients have very high expectations, which is why our services are in demand by so many notable clients. We know high expectations require high-quality results, and Windrose delivers every time. In order to meet the scheduling needs of our client’s projects, our field staff is cross-trained to meet demanding deadlines. We have the facility and equipment inventory to increase our staffing levels to meet a constantly changing workload, quickly and cost-effectively to provide the expected results. The experienced field crews and in-house support staff at Windrose provide our clients with the best in quality and accurate survey services in the industry. Our services range from typical, residential lot and block surveys to complex design and development surveys, rural land surveys, topographic surveys, route surveys, control surveys, GPS mapping, construction surveying, ALTA/NSPS surveys, and engineering support. Windrose Surveying & Platting employs an effective project cost, schedule control, and management information system, developed and tailored over many years of experience. Detailed communications, weekly staff meetings, and daily briefs ensure solid and thorough project performance. We deploy project management practices for each project to ensure rigid internal controls regarding budgets, schedules, survey quality, project planning, and implementation.